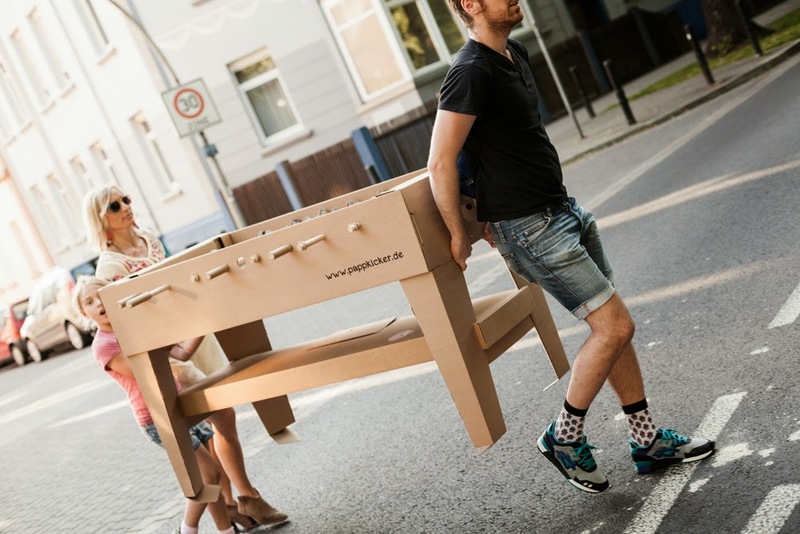 Kartoni is an incredible invention created by a group of designers out of Germany. 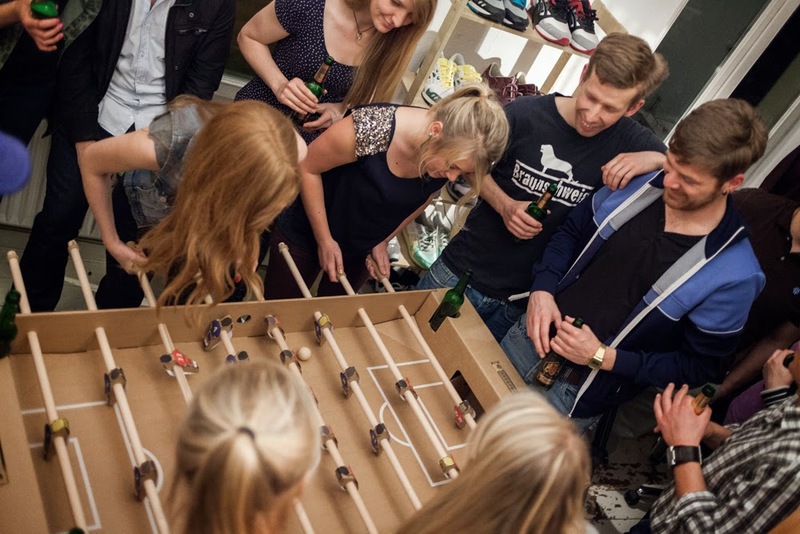 This full size foosball table can now be purchased online for just about 69,00 €, which is a lot cheaper than any other foosball table on the market. But what makes this project so exciting and unique is not the price, but the concept itself. 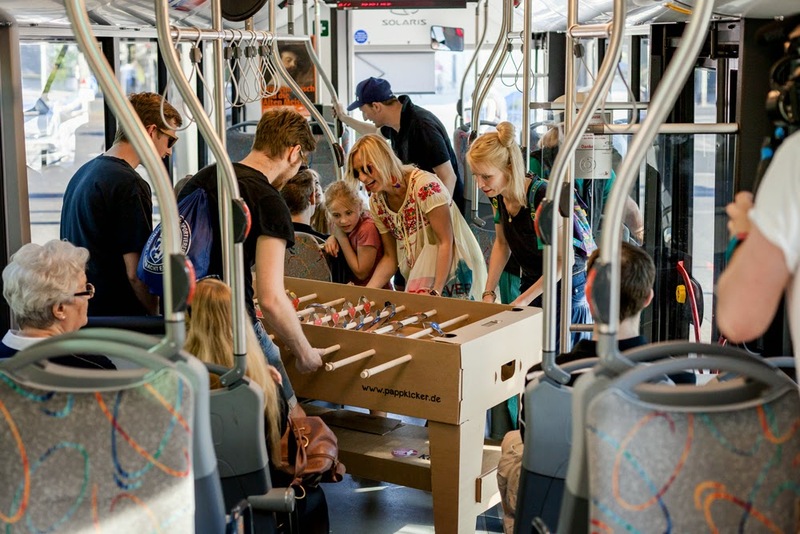 Kartoni is a branded as a 'mobile' foosball table, as in you can easily carry it around if you need to move it from place to place. 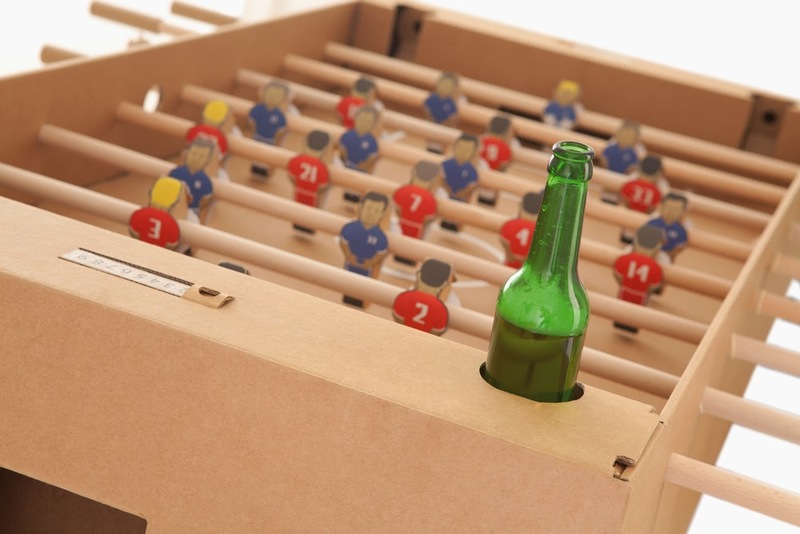 Imagine being able to take your foosball table to a cottage or a camping trip. 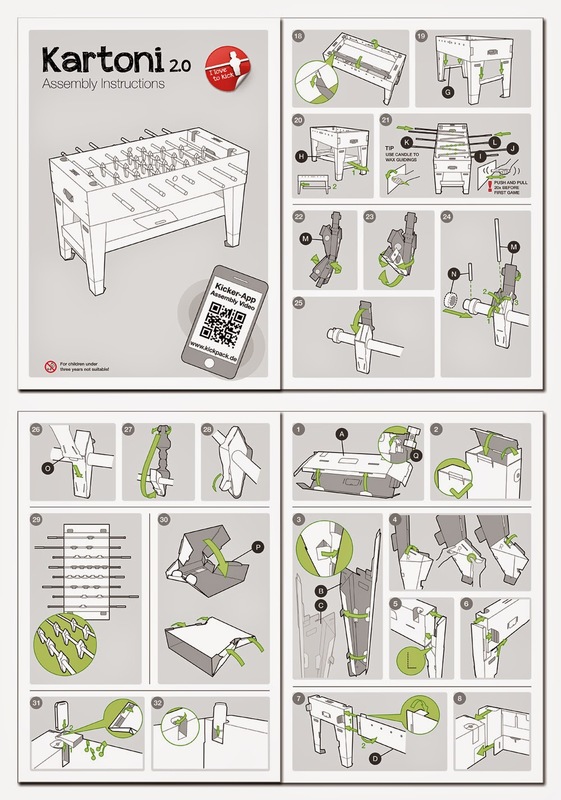 What makes this table so mobile is the fact that it is fully made out of 100% renewable raw material (cardboard). 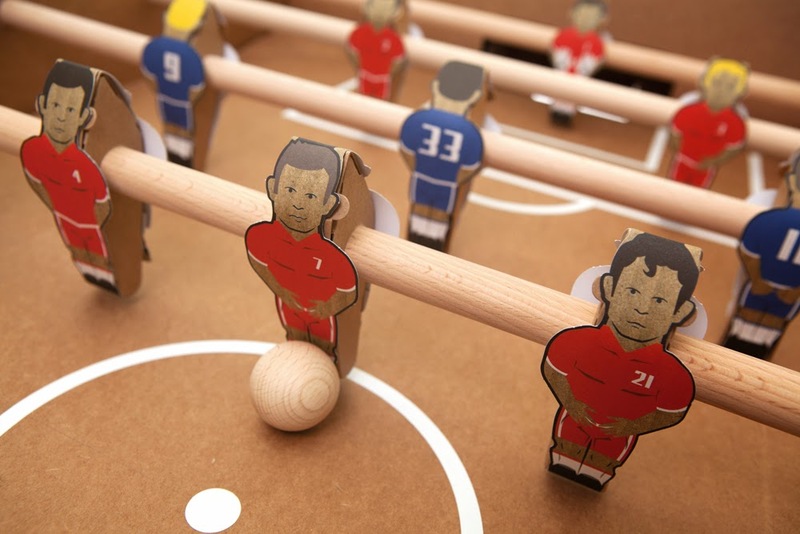 The game bars and the balls are the only components made of wood and the game comes with very easy instructions on how to put it together, and can be set up in just minutes. Kartoni is delivered in a neat cardboard box that is made almost entirely from recycled paper. This game is both budget and environmentally friendly. Other cool feature of Kartoni is the variety of figurines you can purchase and set up for you game. 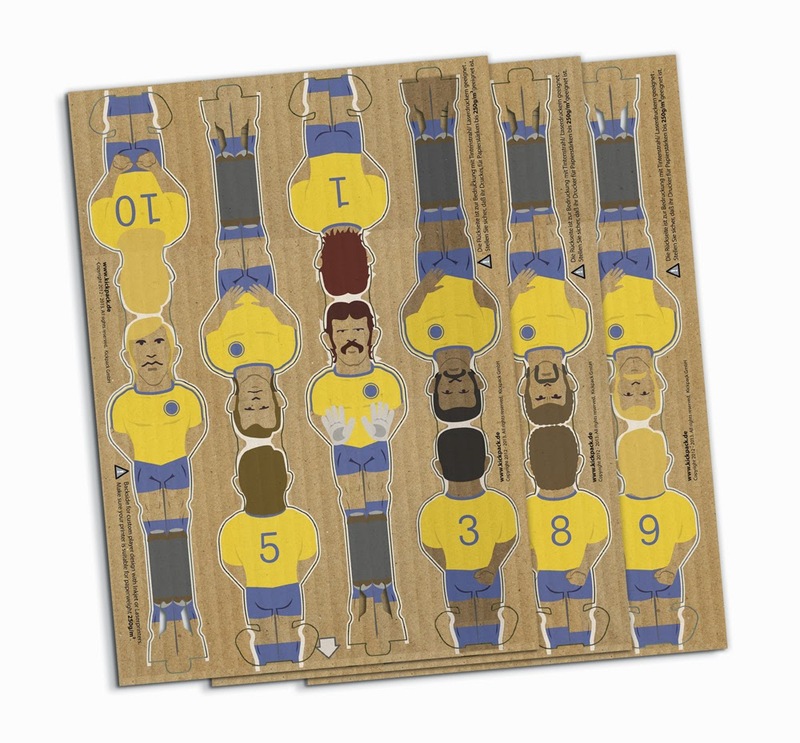 These characters include sets such as national teams, nuns, priests, robots, babes in bikinis and many more. Below you can check out the video of Kartoni being played and moved around a city, and you can see the gallery of the game below. If you would like to purchase Kartoni you can check out the Kickpack Shop. 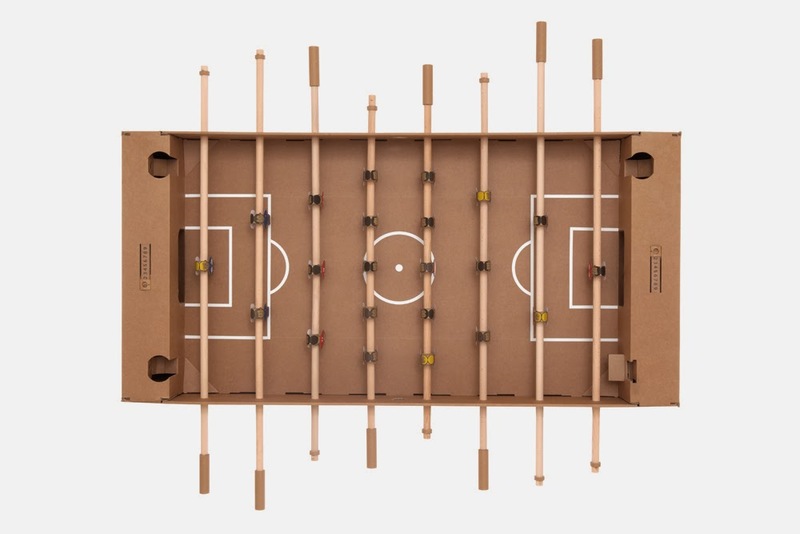 If you are considering the Tornado foosball master you should note that the players are not counterweighted, which can be a problem for intermediate and experienced players who prefer a counterbalanced player. One good thing about paying a bit more for a Tornado brand foosball table is that their customer is extremely helpful and any issues that come up will be resolved quickly.